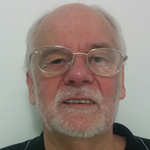 Jan is a highly respected academic with a long career in Higher Education at universities in Australia and overseas. He is also Adjunct Professor at the University of Canberra. He is in charge of IT degrees at Box Hill. 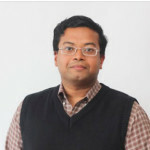 He has published over 80 papers in the areas of artificial intelligence, software engineering, distributed systems, user interfaces and the internet of things. He has authored many books, with the latest on Programming the GPU on the Raspberry Pi and Programming Linux Sound Systems and is currently writing another on the Internet of Things. Prior to joining Box Hill Institute and becoming a teacher David was employed as a field services engineer for a small to medium IT firm in inner Melbourne. In his role David providing computer and network services to anything from a home user up to a large commercial enterprise. At that time he was also studying part time at Box Hill for an Advanced Diploma of Computer Systems Engineering. Upon completion David was invited to join Box Hill Institute as an IT trainer. He has overseen the co-ordination of many of our IT training partner programs. At present David look after the Cisco, Microsoft and VMware training programs for the Centre for ICT, which also provided him many hours of specialist IT training. In 2010, David became a VMware IT Academy instructor and now conduct training for the VMware vSphere product suite and also helped grow the VMware IT Academy program by aiding other academies that wish to join this exciting new program. He has recently expanded his learning to include Cloud computing and will delivering Cloud Credential Certification training (developed by Cloud Skills). Ian holds senior management positions in the church and community sector as well as numerous board positions in private and community sectors at local, national and international levels. He is also the Director of Allsop Consulting Pty Ltd and as such conducts management and organisational reviews for large corporate, federal and state government departments as well as numerous smaller private and community organisations. Previously he was the President Australian Council of Churches, member for 8 years on Central Committee of World Council of Churches in Geneva, Past Board member Ansvar Insurance, Past Board member Bioss International (Aust), Past Advisory Board member Moores Legal; Merryck and Co. Member Social Enterprise Working Group, Institute of Small Business and Entrepreneurship. Sudipto Mitra is a dedicated ICT educator with over ten years of experience in higher education. Sudipto works as an Associate Lecturer for the Bachelor of Computer Systems degree at Box Hill Institute. His key areas of instruction comprise Networking, Cloud Computing, Virtualisation, Information Storage & Management and Computer Systems Hardware & Software. Sudipto was educated in India and Australia. He has completed his Master of Engineering in Microelectronics at Swinburne Institute of Technology after graduating in Electrical and Electronics Engineering from Jawaharlal Nehru Technological University, India. His educational qualifications include a Graduate Certificate in Higher Education from Deakin University, a Diploma of Vocational Education & Training Practice from Box Hill Institute and a Certificate IV in Training & Assessment from Box Hill Institute. His current interests include Big Data, Cloud Computing, Virtualisation, Information Storage & Management and Cyber Security. Umesh is an academic, with more than 14 years of experience, within the area of Information Technologies specialising in networking, security and programming. He started his professional career working as programmer (for commercial as well as research projects) and consulting for wireless data applications. He is currently an Associate Lecturer in the School of Higher Education at Box Hill Institute. 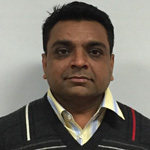 Over the years, he has taught various subjects including Networking, Network Security, Network Design, Programming, Database, Datacenter Design, Computer Systems Project, Emerging Technologies, Mobile Computing, System Management and System Development. He has supervised over a hundred final year degree projects. His research interests include Cloud Security, Cyber Security, Network Security, and Mobile Security. Frank is an academic, with more than 35 years of teaching/lecturing experience, within the area of Science, Mathematics, Electronics and Information Technologies and currently specialising in Networking, Sever and desktop Virtualisation and Software Defined Networks. He has developed courseware in ICT Sustainability, Virtualisation, Internet Technologies and Software Defined Networks. His research interests include Server and Desktop Virtualisation, Network Virtualisation, Software Defined Networks, Internet Technologies and Network Infrastructure. Mark has been in the IT industry for 30 years. He started as a Maintainer and Systems Administrator of multiuser computer systems. 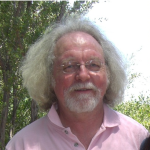 He changed roles to teaching in the early 90’s, teaching networking and programming. He became a Cisco CCNA and CATC instructor before moving his focus to Multimedia and Web Development. His current interests include Database Development and Mobile App Development in Android. 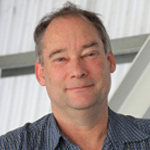 Mark’s practical teaching style provides wide ranging appeal to students from secondary and TAFE to Higher Education. Mark’s current career objectives are to further implement current technology within his teaching and courses. Mark’s research interests have included measurement of human performance in Cycling Technique, Heat Stress of Adolescent Endurance Athletes, Effects of Exercise on Bone density and the Effects of Sunscreen on Pediatric Metabolism. Monique Den Holder joined Box Hill Institute in 1996 and is a teacher and training consultant for the School of Business and Creative Industries. Monique has over 20 years of successful experience teaching, training and lecturing in the area of Business Communications. She has developed and delivered business subjects which were part of a Certificate in Software Engineering for Selangor Human Resource Development Centre in Malaysia and for Adidas’s regional management development program throughout south-east Asia. Locally Monique has developed and presented training programs covering management, customer service and communication topics for University of Melbourne, Kimberley Clark and Coles Myer.